Yesterday I told you about how we converted our dining room to an office a couple of years ago. I realized that I never posted anything before about this room here at Southern State of Mind, so I thought I’d share today! I really loved having a formal dining room. It felt so great to hosting family and friends in a formal dining room during the holidays. However, we seriously only used it 3-4 times a year. 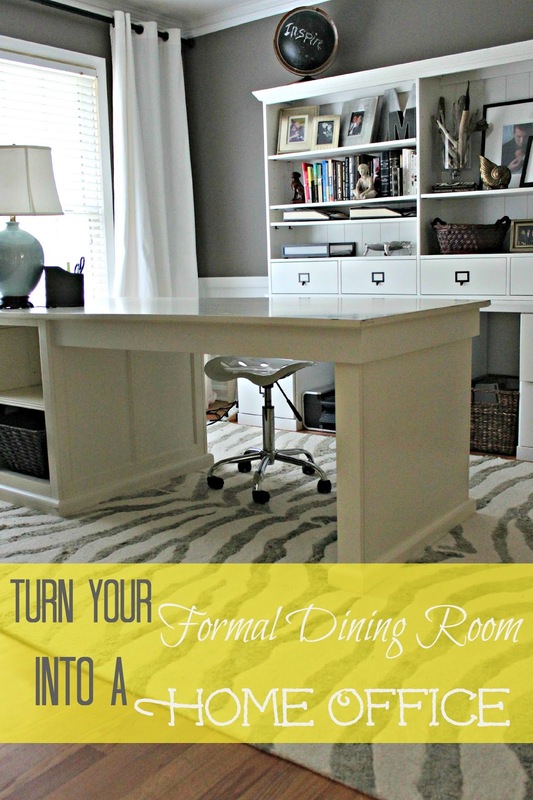 Now, if you are in a big ol’ house, a formal dining room makes sense! Don’t get me wrong- I totally envy you! it really wasn’t the best use of space so we made some changes! Here is our “dining room” now as our home office! The aqua chairs were a gift from my mother-in-law years ago when we moved to Orlando. They were from Storehouse, which is sadly no longer around. I absolutely love these slipper chairs! The big round white mirror was a $12 Goodwill find. The gray zebra rug is from RugsUsa. The ottoman bench is from Target years ago. Scott’s Antique Market here in Atlanta. 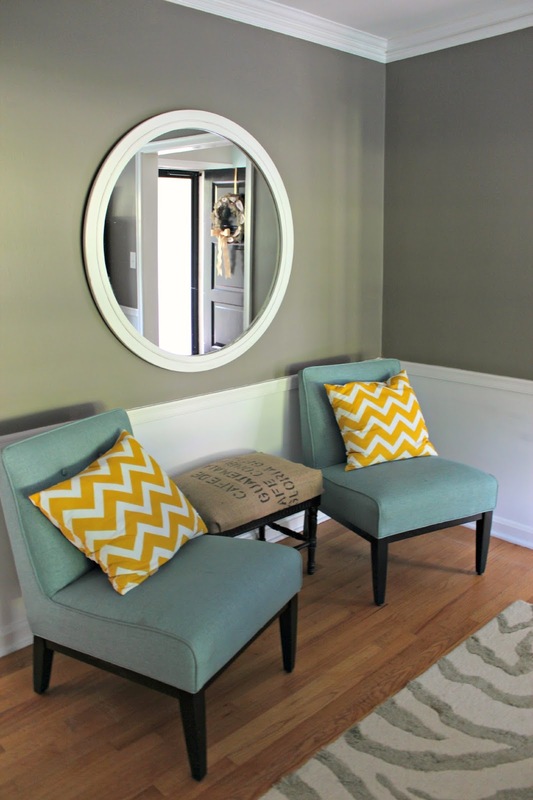 The yellow chevron pillows are from HomeGoods. they need to be functional and pretty. Here is the latest set-up. The chalkboard globe was a craft project from a couple months back. 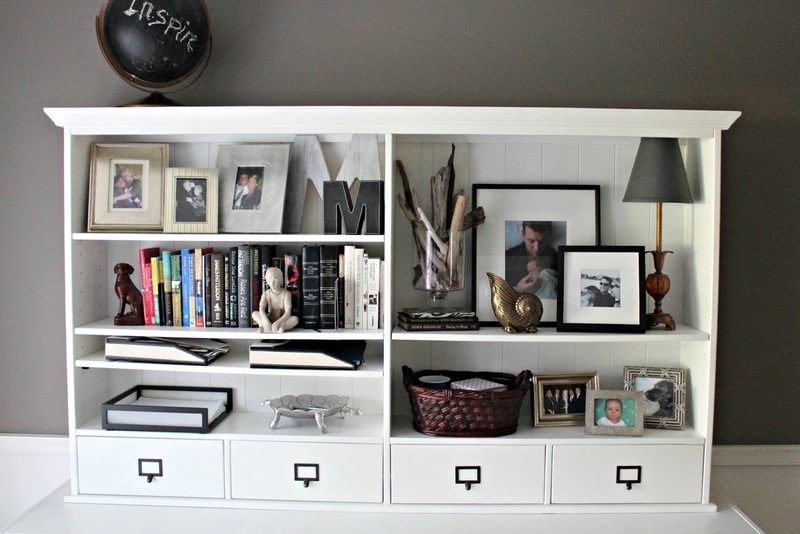 I will be back to talk more about those storage cubbies. I am not quite sure how I lived without them before we got them! three rooms in our home to create more functional space! Wow! How have you been holding this in? This room is fantastic. The next time I am in Atlanta, I am coming over to your house to work 🙂 So sad about Storehouse, we have a fantastic bed from there. Your aqua chairs were an amazing gift! Thanks Jackie- you are welcome anytime! I know- Storehouse was just our kind of style! Thanks Amelia! I am still surprised the husband agreed to that rug, he is actually a big fan. 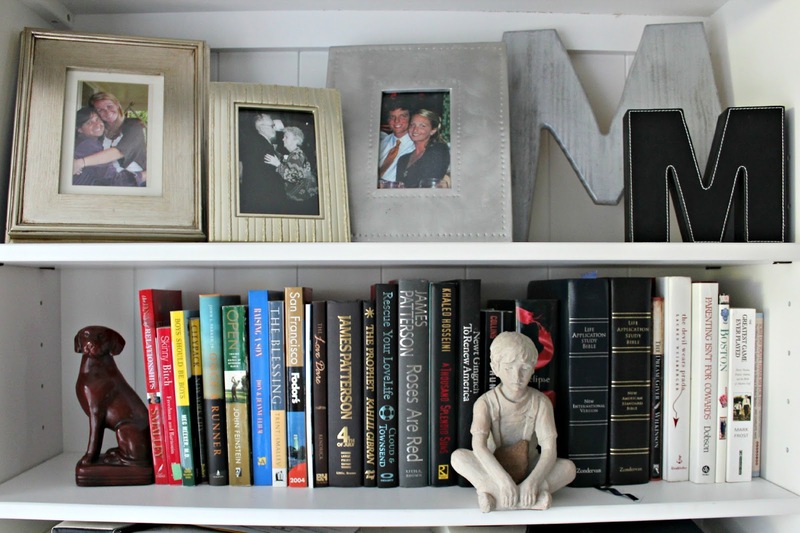 Thanks for your note about the bookshelves! What a great transformation! I am currently trying to create an office/dining room in my house. We use our dining room so it has to stay for now. I like your storage idea, I can put my china somewhere else and re purpose my cabinet. Visiting from Give me the Goods party today. 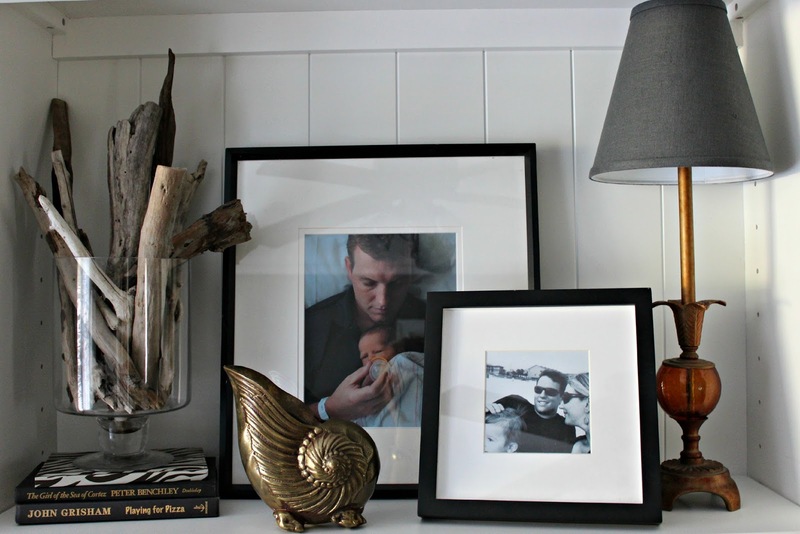 Hi Sarah- I love that you use your dining room! I hope that someday we will have a formal dining room again! I agree that using this room as an office would be a better fit for my family too. I love the colors you chose–very cute and modern. Pinning this since it was so inspiring! I'm stopping by from Home Stories A to Z #59 How To Paint Cabinets and 61 1st Day of School Photo Tutorial) Have a great night! Thanks for stopping in Carrie! Have a great night! Off to check you out now! What color is the wall paint? Love. The color is Restoration Hardware Slate. It is a yummy color. 🙂 Pretty dark so I think the white on the bottom helps to lighten it up a bit. Hi Marty! Thanks for the invite! Off to link up now! Awesome finds- I would LOVE to find some Williams Sonoma goodies at Marshalls- thanks for the tip! This is AMAZING!! Love every little detail of this room!! That rug just ties it all together!! Thanks so much for your sweet post Shelly! I LOVE your style! And your colors in the room! It is beautiful! Love this idea! And the colors you chose are PERFECT! Thanks so much for sharing and inspiring! Thanks so much for stopping in Karianne! Having a formal dining room is important but if you only use it twice or thrice a year then turning it and utilising it instead into some place to do a lot of productive things is a wise idea. Absolutely gorgeous! I love your carpet. 🙂 The colors are very soothing. Thanks so much! The rug was a steal from Rugsusa. I wasn't so sure about the animal print but I think the gray keeps in muted. Thanks again for all of your sweet comments! I really like what you did in your office! I have a question. I was looking at that same rug recently but wondered if the grey had a blue undertone? What are the dimensions of this room? 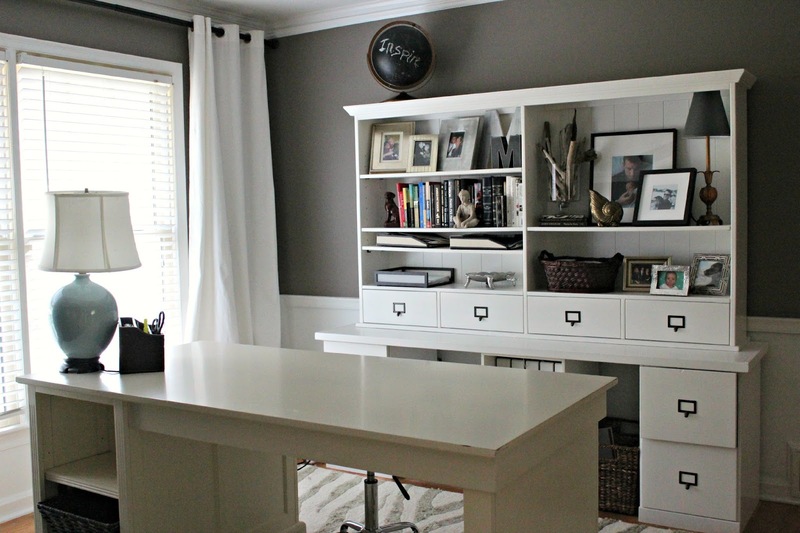 I’m considering a similar project for my home office, and trying to get perspective if I have room to put my desk in front of a credenza rather than against the wall. Your office is beautiful!! Hey! Unfort we have moved from that home so I am unable to measure for you. Good luck!